The first step you want to take is registering the MPC Touch. After successful registration, you will have access to all of the software downloads and authorization codes needed to run the MPC. Here is a helpful guide that will walk you through the installation and unlock process. When learning anything new, there will always be certain terms that you will not understand right away. We have gathered a few helpful guides that explain common terms and basic functions of the MPC Software. This is the stuff you'll want to know before you can be truly successful with your MPC. After you have installed and unlocked all of the software, it's time to set up your plugin in the MPC Software. Click on the following link for instructions on setting up your plugins and expansions. Here is a helpful video that walks through how to load sounds on to your MPC Touch. Sampling and editing are some of the most well-known features on the MPC. 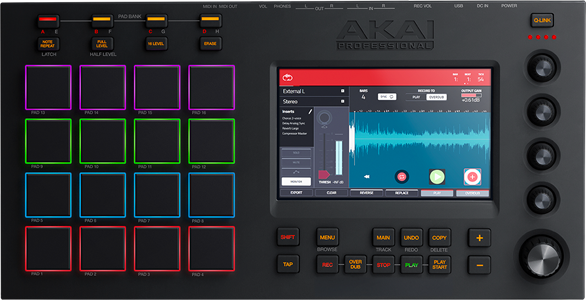 The MPC Touch provides an amazing workflow on the touch-screen display. Check out the video below for a quick tutorial on sampling and editing. The following links will assist you with setting up your MPC Touch with some of the most commonly used Digital Audio Workstations. Click on your DAW for a setup guide. The following guides are for the MPC Studio and Renaissance, however, the setup is the same. Still need assistance getting started? Not to worry! We've assembled a guide full of instructional videos that will help you learn the basics of using your MPC. Here are a few more helpful resources for your MPC Touch. Whether you are a customer or dealer, if you already own an Akai Pro product, or if you just have pre-sales questions, the experienced Akai Pro technical support team is available to help!